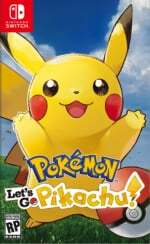 "We’re exceptionally well prepared for the holidays"
With Pokémon: Let's Go, Pikachu! and Let's Go, Eevee! launching tomorrow - the latest entries into the super-popular Pokémon franchise, and first mainline games to appear on Switch - and the hotly anticipated Super Smash Bros. Ultimate launching just 21 days after, it's pretty safe to say that this is an incredibly important period for Nintendo. 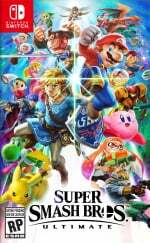 You might think that releasing your two biggest games of the year at almost the same time would be an odd move, but Nintendo of America president Reggie Fils-Aime believes it will help the company to secure a strong end to the year, no doubt providing a significant boost of sales through the always-important holiday season. Speaking to The Verge, Reggie says, “this year, we think that we’re exceptionally well prepared for the holidays and truly have something for every type of gamer and every type of household”. Of course, with the console now having more than 1,000 games available to purchase, he's probably right with that last statement, but it's the major first-party titles that bring in the seriously high numbers and help to sell the system to new consumers. As it turns out, relying on these games to boost profits for this quarter sounds like a pretty good idea; the Switch saw a significant jump in sales last week in Japan, likely thanks to new players getting ready for the new Pokémon games this week, and Reggie goes on to confirm that pre-orders for the two upcoming releases are the best ever seen on Switch. Have you pre-ordered Pokémon: Let's Go or Smash Bros. Ultimate? Are you likely to pick up one or both of these major releases? Let us know with a comment. Well... That's all we got to play right now that's first party. But that said, those two games are good so I'm not shocked. Smash has been hype for so long. Sooooooo glad that I switched to the PS4 after 30 years of being a Nintendo fan. It feels great getting 1 or 2 fantastic games each month instead of 1 or 2 fantastic games each year. @Yogsoggoth haha like you can't be a fan of both! I'm pre-ordering both Smash and Let's Go! Eevee. I didn't pick up Super Mario Party and I won't be picking up Pokémon or Smash so they don't have something for me. Mario Tennis is the only 1st party game I've bought this year. Even the Wii U years I bought more than that. For me, 2018 has been very poor from Nintendo. 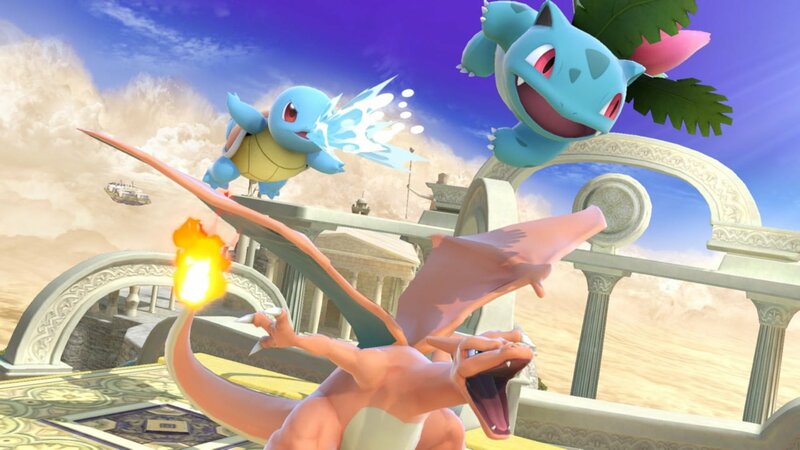 Well I'm not suprised, Pokémon and Smash Combined would beat last year's preorders by a good amount. I tried, I really did, but the WiiU disaster just burnt me. When I saw the Switch was going to be unable to compete (spec wise) with current gen, I just had enough. I'll probably go back at some point, hoping absence really does make the heart grow fonder. @quinnyboy58 I know, right. True gamers play games, not consoles. I would love to see Smash Ultimate become the best selling game on the console. I mean it's such a jam packed game that you'd be crazy to own a Switch and NOT get it. Too old for Pokemon, so never got in to it. @HeroponRiki I don’t think Smash can beat Mario Kart, especially when 9 comes out. @OorWullie is mario tennis any good? Like you I’ve bought nothing this year sadly as the titles aren’t really in my wheelhouse but mario tennis was tempting until I saw some of the reviews. Shifting most of your Q1-Q3 sales into Q4 probably doesn't look as good in June as it does today....but whatevs. Sales are sales. Smash, i'm in.. just waiting black friday to see if something better will come up.. if not, fnac (here in France) so far is the best option.. 55, you receive 10 back plus an amiibo (a lightly boiled egg one, but it's still an amiibo) .. Pokemon?? only the big rpg, next year! After a fairly sad first 3/4 of the year, I’m actually excited again. Pokemon and Smash are different enough to be released concurrently, so I’m sure they’ll both sell well and Nintendo will be singing hallelujah this Christmas. If I were offered either of them for free, I’d take Pokemon as I find Smash boring. I’ll be interested to see how Metroid shapes up next year, and fingers crossed for Mario Kart 9 by 2020, that’ll be the big one for me. What are you doing on a site like this when you turned your back on Nintendo anyway? And what 1 or 2 fantastic games a month are you talking about? I've had ultimate pre-ordered through Amazon since the mini direct teaser. Picking up let's go for my big birthday treat with the pokéball plus. @Yogsoggoth Nobody cares about fanboys here. Pokémon Let's Go oughta thank Super Smash Bros. Ultimate for letting the former piggyback the latter's preorders. If Pokémon was the one holiday release, Reggie would sing a different tune, if not just avoiding the issue altogether. On an unrelated note: predicting the usual radio silence until-there's-no-point-in-reporting from Nintendo's email to NintendoLife, let me give you the good news: on the European eShop, Runner3 is given a whopping 68% off. You heard it here first, folks - it's on sale for ten measly euros! I preordered Smash back in March and preordered Let’s Go! Eevee the other day, which I’m putting up for Christmas. So yes, I have preordered both. @Mr_Pepperami I thoroughly enjoyed Mario Tennis, I've logged 75 hours on it. Nearly all of those hours were playing 'Simple rules'online though.I barely touched the single player, it felt like a chore to play. Online tournaments are great fun but I'm not sure I can recommend it now as it's been tough to find matches lately. If you don't play online much I'm not sure I can recommend it either. @MaxlRoseGNR It's a pity NL doesn't have a sister site focused exclusively on Playstation products and games. They could call it Pu... Push... Push Sq... oh, who knows! Not interested in either, to be honest. Never could get into Smash and these baby's first pokemon games are too dumbed down to enjoy. @Yogsoggoth I remember when the PS4 came out, but I didn't buy it cause the PS3 was trash, how I used to go to all the Play Station fan sites to make sure all the fans knew. It was perfectly normal behavior. I have both games pre-ordered, albeit physically. I didn't want to go digital for these. Both games preordered and Pokeball Plus too. Was tempted to get a controller or GC adapter for Smash but didn’t. It hasn't been a great year, but going into Christmas with a new Smash, Pokemon, and Mario Party is going to be big. Plus new adopters have a pretty huge library of first party classics to pick up for their family. @Ralizah Yeah, that would be nice! @Yogsoggoth so glad so much so I feel the need to still come on to a Nintendo site and mention it. What is with some people. @Yogsoggoth I did the same. I have a PS4 and had a Switch but got rid of it. I got the Smash Bundle recently and am now happy I have one again. Its not for everyone though and when games come out on both platforms its hard to figure out which version to buy. For AAA I still buy on PS4, but most others I go with Switch for the portability factor. Now with cloud saves I feel a little better too. The Switch is a good second system but still not a main. @Bunkerneath you are never too old for Pokémon . @MarioLover92 With the titles we already know are coming next year, Daemon X Machina, Yoshi, Luigi's Mansion 3 and Fire Emblem I'm already far more hyped for next year than I have been for this years line up. I'm not an Animal Crossing fan but after how much I've enjoyed Stardew Valley I think I might give the series another go. Hopefully Bayonetta 3 and Metroid Prime 4 make 2019 as well. That would be an amazing line up. @ekwcll I meant that because I was that old when it first came out, the fad passed me by and therefore have no interest in it. It’s only took until November to get a good first party game this year. I’m passing on Pokémon, so a few more weeks waiting for something to play this year for me. @Syrek24 agreed, switch has so many games, people should not be crying about lack of games. For those of us with interests outside of gaming and unable to devote endless time to exhaustively long games, I am totally satisfied with the number of high-quality releases on the Switch. By the end of 2019, the library will be catching up to many of Nintendo's best systems. And the fact he brags about it - is why I always have one other System/PC each generation. And let's be real here...look back at the catalogues of the much-loved NES, Game Boy, and SNES. Among the numerous classics over their lifespans you will find a trove of absolute garbage releases, mostly based around licensed properties (I swear every movie and TV show had a game...seriously "Home Improvement" the game?). The N64 had a smaller library, but how many stone-cold classics are there really for that system? The Switch has a great library thus far. This is not to say the eShop is not filled with terrible mobile-quality games, but if you include Smash and even Pokemon, it would already be easy to assemble a hypothetical "Switch Classic" lineup with 20 games. We know there is more on the horizon as well. We know the Switch is not the system for hyper-realistic blockbusters, FPS, or epics like "God of War." Nintendo's philosophy has never been about that, so I'm not sure why people are surprised when those games don't appear. No doy! when your only other first party games were Mario Party/Tennis, of course it’s going to sell well. People still saying Switch got no games this year? I can’t imagine having such narrow taste in games that I’d only play first party. Or, in fact, restrict myself to just one system. You could not make it up,could you. I thought Pokemon let's go was going to bomb,well at least that's what the internet posting/YouTube community thought. But of course it's only going to sell because there is nothing else on the Switch to play. @Yogsoggoth imagine getting a PS4 over a good PC lmao. If you wanted to bag on Switch having no games, where were you when the PS4 and Xbox One had nothing to offer until 2016? Even the Wii U was better. I pre-ordered Smash Ultimate as soon as it was possible. Can't wait for Dec. 7. Yeah, the argument could be made that the past isn't relevant to now. But I was a day one buyer of PS4, it was an utter disappointment until 2016, no doubt about that, and Xbox One was only slightly better. Switch easily tops what was available for both as far as high quality games available at the same point in time. @OorWullie is it harder to find matches since the online payment plan came in? @Mr_Pepperami It's hard to say how much that affected it because for the first 3 weeks or so after the subscription service arrived it seemed fine, no different from before. The few times I've played it since then though it's been more difficult to find opponents. The first couple of rounds of a tournament are fine, opponents usually appear quickly but the further you go into it the harder it gets to find one. I do only play Simple Rules though, I prefer pure tennis to power ups, perhaps the other mode is more popular. Plus I'm matched with Japanese players so it may be different in Europe. I do remember @1UP_Mario saying he was waiting a while for opponents. @OorWullie @Mr_Pepperami sorry for the late reply. It’s a great game and I’ve played 95 hours so far, I think the game mechanics is tight yet anyone can just pick up and play. Online play use to be great and now it’s really hard to get a game. It seems everyone has dropped the game after the paid membership. I wonder how much the Amazon Prime discount going away helped? I know I preordered everything I might want the day before it went away just so I could save 20% if I decided I wanted it. This is without a doubt the time of year to cash in. Especially in North America. The holiday season is retail heaven for consumers and hell for workers. @Yogsoggoth Funny, I have more than 50 games on my Switch at this point that I like. That happens to work out to about 2.5 games a month. You must be one of those folks who only even considers headline major AAA releases and dismisses everything else. Your loss. And like others have said, nothing stops anyone from liking 2 systems at once, okay well, money would, but if you can afford 2+ games a month you probably could afford a second console. @HobbitGamer "I'm on the road I'm on my way I'm on the road-a!" Smash Brothers Ultimate is a mandatory must buy! I’m preordering and paying it off next week when I get paid. Congrats to the large preorder numbers!